We all know first impressions count. That’s why if you want to make a positive first impression, it’s worth looking at the stunning glass entrance door by Neptune™. Apart from their obvious good looks, Neptune™ glass doors have a big advantage over many other doors. They’re built from robust, low maintenance aluminium and toughened glass. Which means there’s no need to repaint or restain your door. Plus there’s no swelling in winter, which can be a big problem with timber doors. 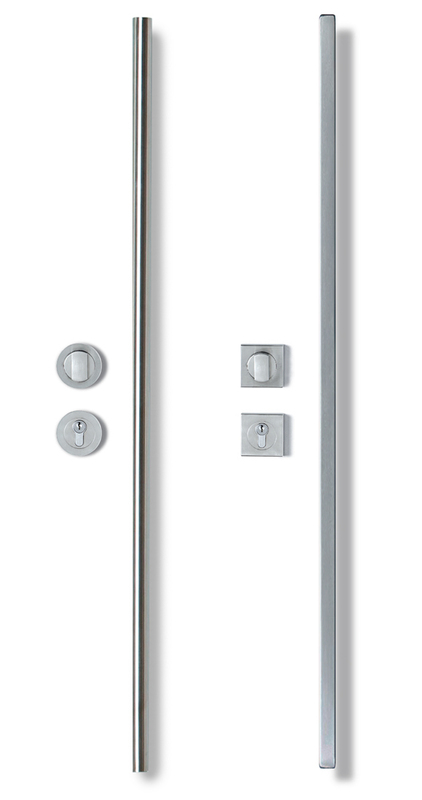 The Neptune™ glass door also features a thermal break in the aluminium extrusion. The thermal break reduces heat loss during winter, and keeps the house cooler in summer. There are a large number of Resene colours available for the glass as well as the option to include your own graphics behind the glass. 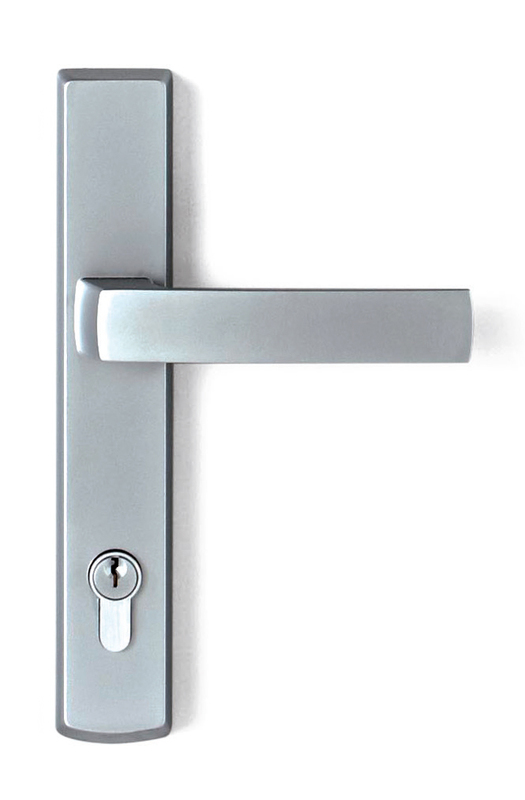 Please contact Trans-Space to discuss your requirements and choose the door that will make a perfect first impression. There’s something really special about the impression a high gloss glass entrance door creates. It’s a contemporary, architectural look that’s hard to match. Especially when you can create the exact look you’re after through colour and scale. 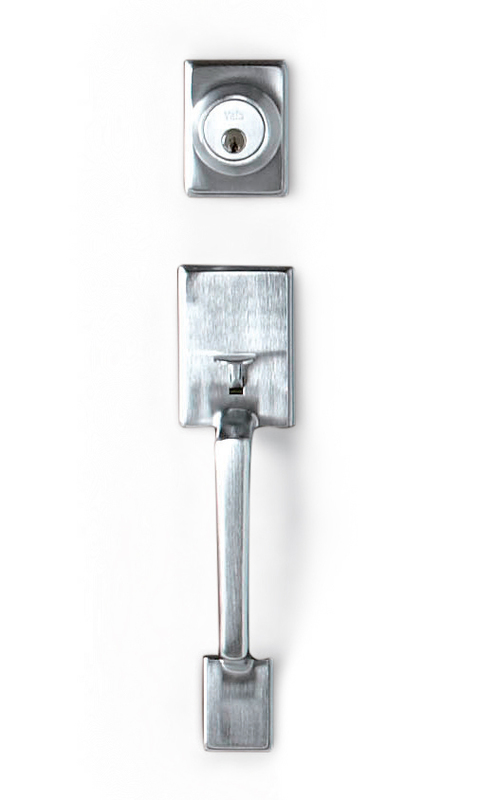 Choosing the right door hardware can make all the difference to the look of your entranceway. 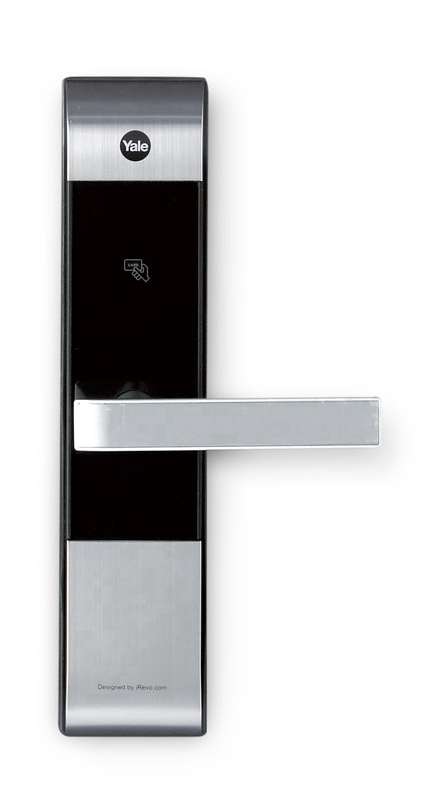 Which is why we offer a range of hardware options designed to enhance the aesthetic appeal of your door, while offering all the functionality and security you should expect. Contact UsFor help with choosing the right door for your project – our technical team will be happy to recommend a model to suit.